In the go big or go home universe of the NBA playoffs, midseason moves can make or break a contender’s championship aspirations. 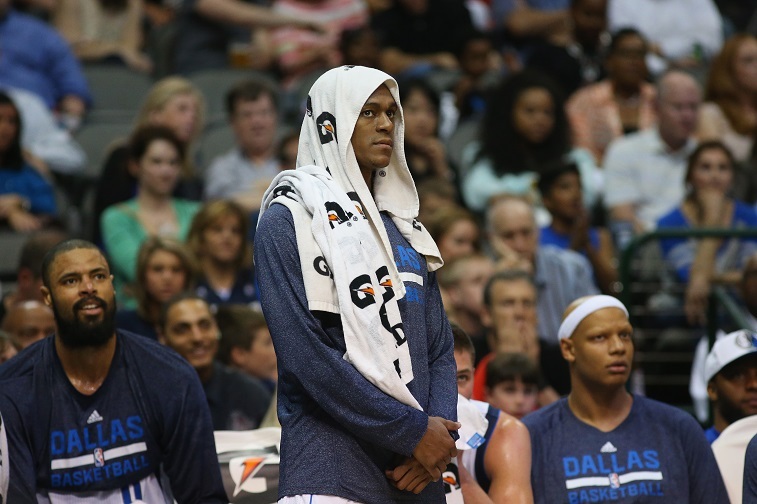 For the Dallas Mavericks, who boasted the league’s best offense once upon a time, their first round playoff series versus in-state rival Houston was largely marred by disturbing images of a petulant Rajon Rondo. In Game Two, Rondo apparently suffered from a strained back and was ultimately shut down for the rest of the series. In retrospect, it was clear the injury announcement was a weak attempt for all parties to save face, and close out the most disastrous trade of the 2014-2015 season. There is one injury that has defined the latter half of Rondo’s career: a torn ACL, suffered in the heart of the last season of Boston’s Big Three era. Since then, the player who could be the best on the floor no matter the competition has been replaced by a player more likely to be called petulant than phenomenal. 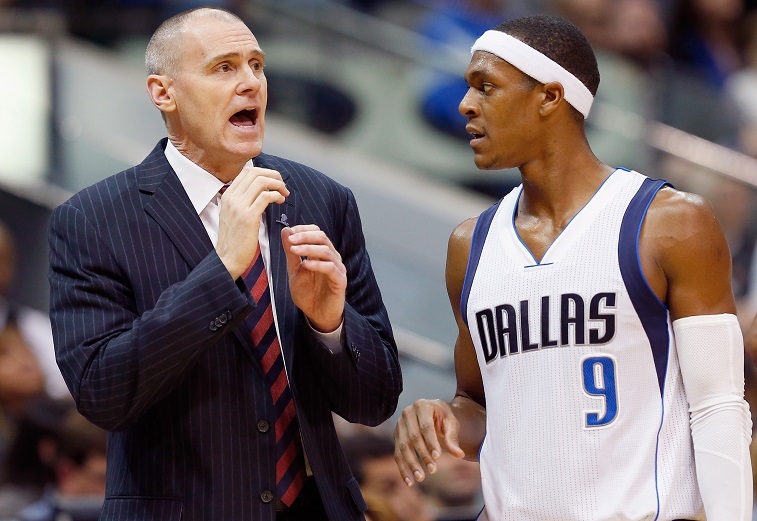 The unmitigated disaster that was his time playing for Mark Cuban’s NBA team likely lowered Rondo’s value as a free agent, to put it kindly, especially among teams that may be one piece away from a title. For next season, Rondo will be best suited playing for an up-and-coming team that allows him to dominate the ball with his freewheeling style. With the best passer in the NBA in the fold, three particular rebuilding and fringe teams may suddenly find themselves to be dark horse candidates for the 2015-2016 playoffs. The New York Knicks figure to be major players this offseason, with loads of cap space and general manager Phil “the Lord of the Rings” Jackson at the helm. Beyond Jackson, New York City itself will always remain a major draw, for big-ticket free agents to ply their trade in front of America’s largest media market, while Madison Square Garden is hallowed ground for basketball fans and players alike. Out on the floor, the Knicks will roll out a healthy Carmelo Anthony as the centerpiece for any rebuilding effort. The Knicks do also have the fourth overall pick in the upcoming 2015 Draft. For New York, this slot is somewhat of a disappointment, as they finished an injury-ravaged and very much dysfunctional season at 17-65 — the second worst record in the NBA (they won one more game than the Minnesota Timberwolves). Nevertheless, they still hold a high draft pick they can use on young talent or trade away from an established player. Offensively, the team was a disaster, struggling to put up 92 points per game. As such, a pass-first floor general in the mold of Rondo would be all but necessary to get this team going. Rondo is also one of the better rebounders and defenders at point guard, which would lead to easy buckets in transition. While it’s true that Rondo doesn’t fit the mold of a Triangle point guard, he’s smart enough to adjust accordingly, and a refashioned core of Rondo, Anthony, and whatever they can muster with the fourth overall pick would suddenly bring competitive basketball back to New York. The Indiana Pacers will fly well below the radar heading into the 2015-2016 regular season. It seems like an eon ago, but at one point in the near past the Pacers were the biggest challenge to LeBron James and the Miami Heat. In 2014, the Pacers took the Heat to six games in the Eastern Conference Finals, a rematch of 2013 when the two teams went all the way to seven in the ECF. Of course, the Pacers took a step back this year, after losing Lance Stephenson to free agency and Paul George to a devastating leg injury. Despite the tumult, the Pacers still finished the season at 38-44, and only one game out of the playoffs. Prior to his leg injury, Paul George was on his way to becoming one of the best two-way players in the game, and by his fourth year in the league he had rapidly improved to fill up the stat sheet for 21 points, seven rebounds, and four assists per game. On the other end of the floor, Indiana’s star in the making was also capable of locking down wings and, at 24, George has more than enough time to recover from his leg injury and round back into prime time form. The Pacers, however, have been relatively weak at point guard, with George Hill as the starter. For his career, Hill has dished out a mere 3.2 assists per game, and his skill set may be used best as a sixth man and third combo-guard. With Rondo as the starter, the Pacers would be even more flexible in the backcourt. Pacers President Larry Bird has already gone on record praising the embattled point guard. The 2015-2016 Los Angeles Lakers will be largely defined by Kobe Bryant’s looming retirement and the possibility of one last deep postseason run. Bryant, at 36, has played in only 41 out of a total of 164 games over the course of the past two seasons: in recent years, the guard has ruptured his Achilles, blown out his knee, and torn his rotator cuff through apparently routine plays. Last season, the shockingly hapless Lakers went 21-61, with Kobe watching from the bench. The Lakers do lay claim to the second overall pick in the 2015 NBA Draft, which will likely be used to take one of the two talented big men atop the incoming draft class. Meanwhile, Julius Randle, last year’s seventh overall pick, will be rehabilitating his own broken leg and will likely be ready to suit up by opening day of the upcoming season. The Lakers core may pair Kobe’s relentless drive with the young legs of Okafor and Randle in the frontcourt. A veteran point guard like Rajon Rondo would be tasked with ensuring that each player touches the ball in his favorite spots: something he did to perfection during his time in Boston. 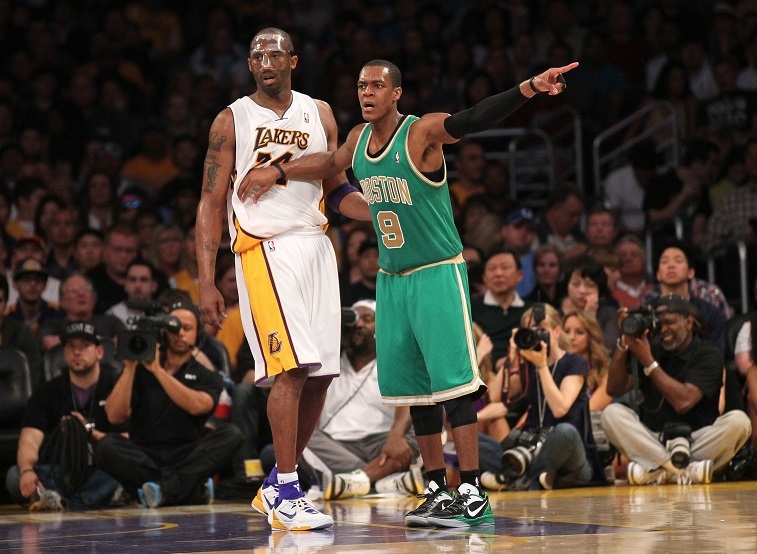 For several years running, Kobe Bryant has endorsed Rondo’s play, highlighted last December, when the two met in Boston for breakfast prior to tipoff. It’s no secret that Kobe has been open and adamant about recruiting the point guard to L.A. Beyond Rondo, the Lakers are also dark horse candidates to land either Kevin Love or Marc Gasol via free agency. In 2008, the Celtics won a championship over the Lakers, after swinging multiple deals to bring Ray Allen and Kevin Garnett to Bean Town. 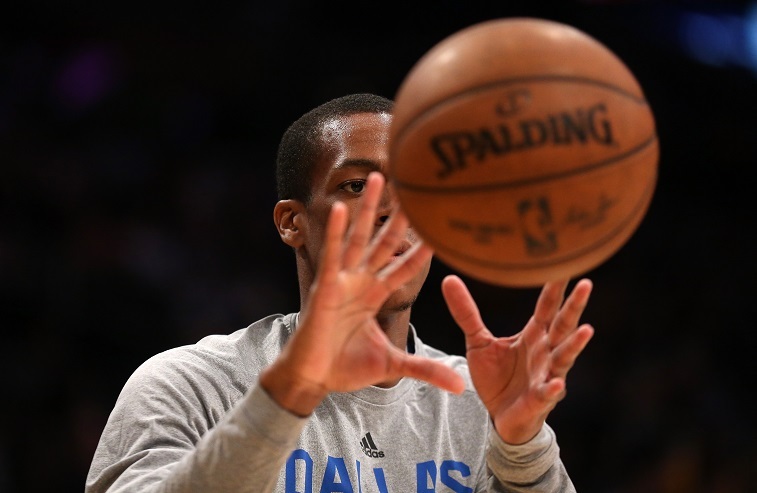 The prior year, as a rookie, Rondo battled through a 24-58 season with Celtics mainstay Paul Pierce. Is it possible history repeats itself in Los Angeles?